Jang Geun Suk who debuted for 20 years beginning as child star expressed the sense of burden due to the success. Meanwhile, Jang Geun Suk won the Most Popular (Male) Award in motion picture category in 48th Baeksang Arts Awards held on April 26th, 2012 with 49.4% of vote share. On the day’s awards ceremony, JYJ Park Yoochun won the Most Popular (Male Award) in TV category, Joo Won won the Best New Actor Award in TV category, Kim Soo Hyun won the Best Actor Award in television category. The 20-odd years old generation actors are in a strong competition. 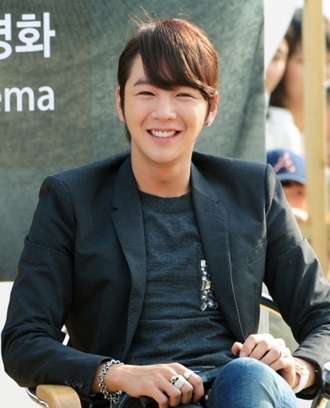 He also said that he’s happy co-starring with YoonA in “Love Rain”, and as for viewership ratings, although still a little unfortunate, but the sense of burden that brought by success is a lot less.